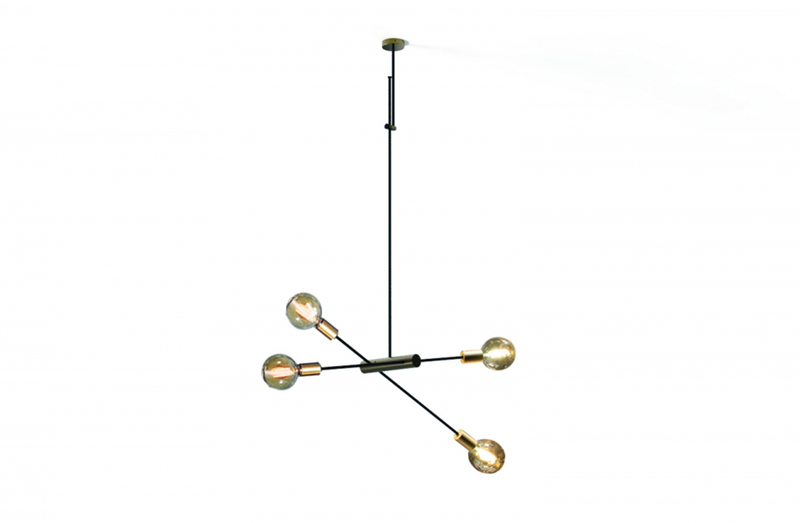 Pendant in black tubular steel with polished brass detailing. 4 x E26 60W max lamping. Note: multiple pendants are shown in main image. Please see ADDITIONAL SPECS for detailed sketch.